By virtue of prestressing more slender and artistic section of member can be adopted. This is done by using high strength materials. The advantage of prestressing concrete is-it provides more clearance and structure like bridges over naval passage, it perform better. 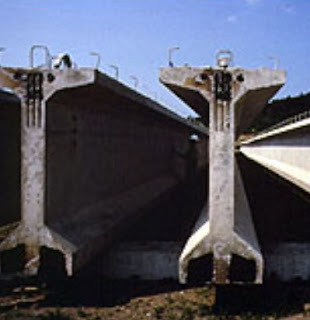 In case of bridge and heavy loads transfer girder we can’t imagine without prestressed concrete. Due to cambering effect produced by prestressing the deflection under dead load is reduced. In case of reinforced concrete we can count concrete above neutral axis of a concrete section as effective. But there have uncracked section, and entire uncracked section perform to reduce deflection and under live load these members are also perform better. A prestressed concrete member can be a precast member too i.e. 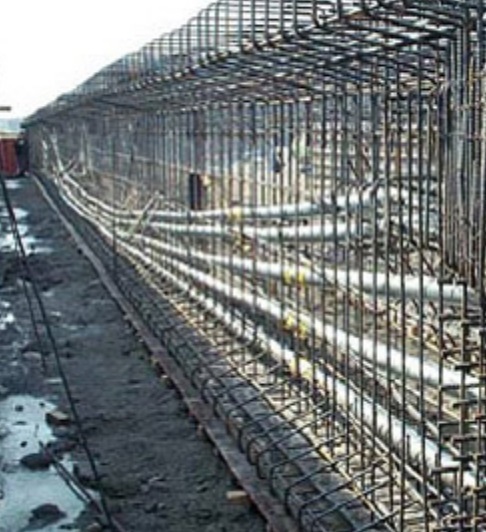 all advantages of precast concrete are available in prestressed concrete. But light weight is not always useful. Every system should have advantage and disadvantages. The disadvantage is light weight member. In most cases it does not produce any design criteria for structural member. i.e. when mass of structures is less, the induced force will be also less. So in this aspects we also have safety against earthquake.